Running an online store nowadays is a challenge. Customers will leave the site if it does not immediately show them what they need. A product slider highlights the best goods the web shop offers in a clean and modern way. NWDthemes Magento 2 Product Slider is the best solution to create such product slider. It gives you ability to build sliders on the fly using integrated Visual Builder and insert it basically in any place on your site. Check all product slider benefits below. Why do I need product slider? You, as a store owner, know your business and know what products deserves front page spotlight. If it is one / two products things are pretty simple, but what if you need to showcase your SALE category. That’s where product slider will definitely help. By focusing on the right products, you will give people better feel of your business. Slider looks great on mobile devices and provide better shopping experience. Our slider created with accessibility in mind, provide more value to customer and increase store conversion rates. Magento Open Source is considered to be the ultimate e-commerce solution. The best part is that it’s completely free. Can’t say it is easy to use, but there are a lot of resources and really great community. But using a product slider is really easy. You have many options in Visual Builder to create a slider of your dream. You can select the category or certain product types to define where your products are coming from. Add as many sliders as you need, each with its own unique options set. 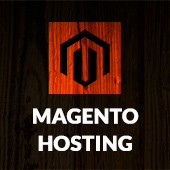 Since Magento is extremely popular, there are many plugins to extend its functionality. Lots of product sliders are available, but they tend to be not really feature-rich. And they even lack customization options, so you can’t create the layout of your choice. Magento 2 Product Slider doesn’t have any limitation on the layout, you are free to create your own. Slider can have different titles, descriptions and item display settings. You can show product’s name, price, review stars, image and much more. Then it’s up to you which of this information you would like to show in the product slider. You might choose to display only the product image and title or you can show all possible information. These features make NWDthemes Product Slider the best Magento product slider extension available. What makes a great product slider? Help customers to learn about your products by showing product slider with the best products you can offer. As for today’s trends, a product slider must be responsive. This means that the content of the slides has to be legible on any device. Your mobile visitors will leave the site if they cant browse the site and interact with it. As a result you lose customers and income. If you use NWDthemes Product Slider, you don’t have to worry about this. Your product slider will be responsive and look nice.It has a great responsive behavior. You have an option to get 6 or 12 months support. The support response time is up 24 hours, but usually it is 2-3 hours. 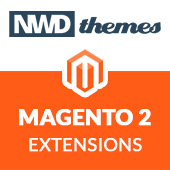 Magento 2, News magento 2, magento 2 product slider, nwdthemes. permalink.